As the market has seemingly put the Greek crisis behind it for a couple of weeks, I might as well bring it back up! The media certainly hasn’t let it go. Financial news is still enamored with Greece. The country, whose economy is the size of Connecticut’s, has been battling austerity and an economic depression to remain a member of the Eurozone. 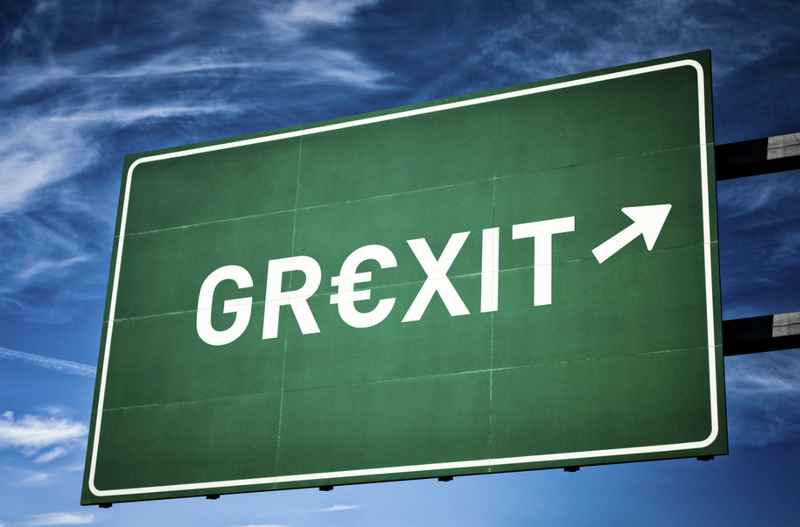 The impact on the Greek economy and stock market has been substantial. Over the past five years (since the “beginning” of the Greek crisis) Greek stocks have dropped 80%, and the economy has contracted in four out of the past five years. However, what does it matter to the rest of the world? 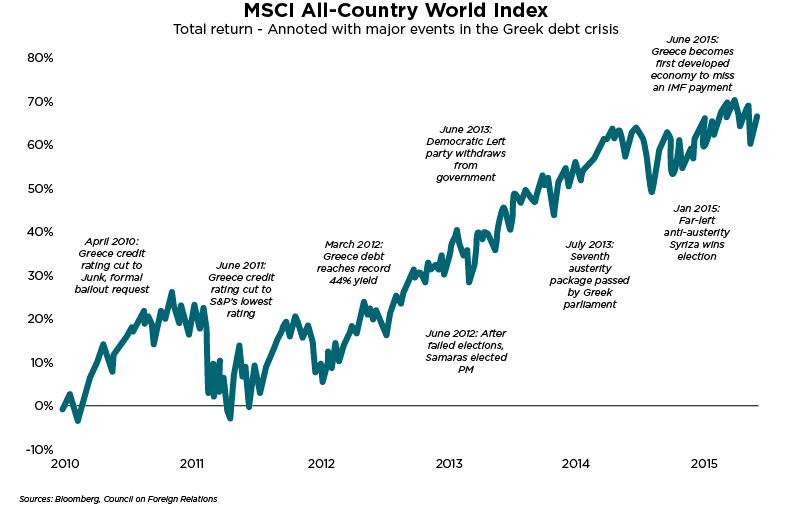 Previous commentary has focused on the size of the Greek economy and stock market (the Greek stock market is smaller than Bed, Bath, and Beyond’s market cap, for instance) and its actual impact on the world. It may seem too simplistic, but it isn’t – the global stock market has returned 67% over the past five years, and isn’t that what really matters? Eurozone stocks, which would likely be most impacted by the crisis, have actually outperformed the global market in local currency terms. Focusing on the long term and ignoring the noise simply can’t be emphasized enough. Think of the wall of worry we’ve climbed the past several years– Russia, Ebola, China, Iran– and many of these issues are likely a much bigger deal than Greece. There will always be issues and crises around the world, but stick with your plan and ignore the (Gr)exhausting media.